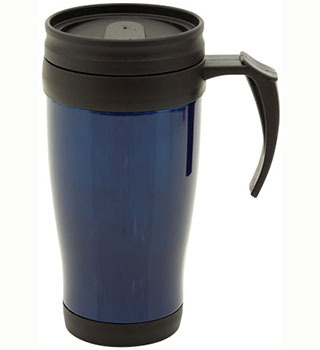 400ml plastic double walled travel mug, with metal outer. Spill proof thumb slide lid and ergonomic handle with thumb rest. (Fits most cup holders) Boxed.